In this page you will Find the latest admission news and notices posted by NACTE. Find information such as admission deadlines, courses on offer as well as admission criteria. The National Council For Technical Education would like to inform the public that admission into various Certificate and Diploma Programmes for academic year 2019/2020 is now open for new applicants. 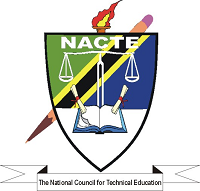 The applications can either be received at the Institutions which will admit the applicants through their Institutional Panel or the applicant can apply online through NACTE website (www.nacte.go.tz ). All applicants will apply through Apply Online (SAVS) is available on NACTE website: (http://www.nacte.go.tz). Applicants can also apply directly to the Institutions which will admit the applicants through their Institutional Panel. Applicants are advised to follow the application instructions and related registration stages carefully to avoid any inconveniences.